(Natural News) Many people dread flying on planes, even if it means there is a much-needed vacation awaiting them at the end of the flight. The idea of being cramped up inside such a small space with dozens of other people, some of them potentially sick and contagious, is enough to put anyone on edge. Is catching an illness from your seatmate before you even reach your destination a legitimate concern? According to a new research study published in the Proceedings of the National Academy of Sciences, the answer is no. In the study, researchers looked at the way respiratory viruses spread on planes. They flew on ten cross-country flights throughout the nation in the height of flu season. The flights they chose were anywhere from 3.5 to 5 hours in length, and the planes in the study were mostly at full capacity. The researchers sat in the economy cabin of single-aisle aircraft and tracked the behavior and movement of passengers and crew. They noted how often people interacted with others and left their seats, behaviors that can spread respiratory infections. They also took samples of the air on the plane as well as surfaces that are commonly touched like tray tables, bathroom doorknobs, and seat belt buckles before, during and after the flight. They then used computerized models to simulate the risk of transmitting the flu from infected passengers. They discovered that only those sitting in the same row or just one row in front of or behind someone with the flu had a high risk of getting the illness following the flight. The other passengers only had a small chance of getting sick. 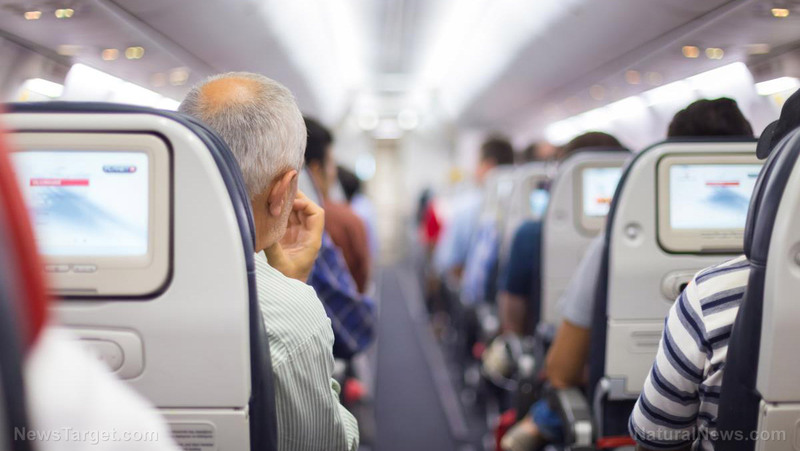 Infectious Disease Society of America Spokesperson Dr. Amesh Adalja said that media reports are not necessarily accurate when discussing the risk of spreading infections on planes. Why is the risk so overblown? Some people believe that it could simply be part of the general trend on the part of the mainstream media to strum up business for flu vaccine makers by creating a fear of catching the illness in people’s minds. After all, pharmaceutical companies have very deep advertising budgets. According to the researchers, the seat location that has the highest potential of infecting others is an aisle seat situated in the middle on the plane as those sitting there have more contact with other passengers as they move through the cabin and tend to leave their seats more frequently. In fact, they found that 80 percent of those in aisle seats will get up at least once during a flight, compared to just 62 percent of those in middle seats and 43 percent of those in window seats. The takeaway here is that if you’re concerned about catching the flu on a plane, consider getting a window seat and avoid leaving it until your flight has ended. You could try to change your seat if you find yourself seated next to someone who is ill, but this won’t be possible in many cases. Instead, try not to face anyone who is sneezing or coughing, avoid touching your eyes and face, and try not to touch shared surfaces. You should also be on guard while you’re waiting the airport, boarding and exiting the plane. If you’re on a plane with a sick person, catching their illness is not a foregone conclusion, particularly if you’re not seated closely to them. As always, being smart about minimizing your exposure and washing your hands frequently can go a long way toward staying healthy. Visit Outbreak.news for more coverage of contagious disease outbreaks.